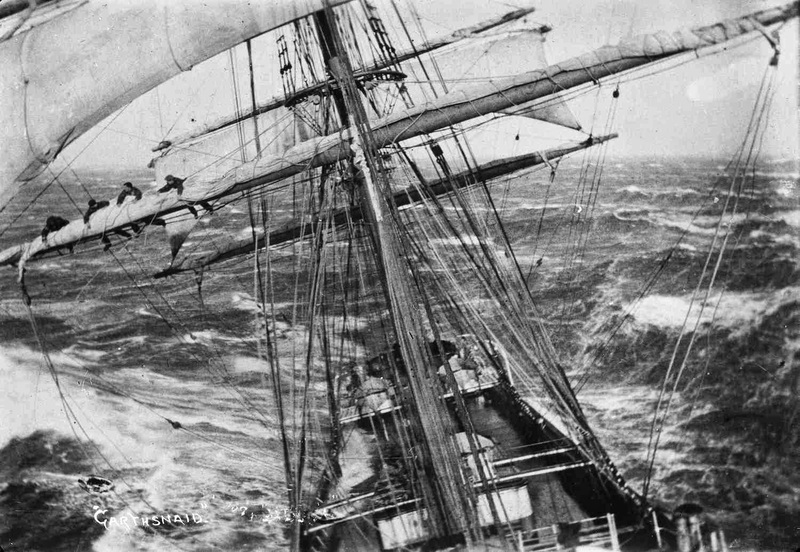 Why we're glad to not be at sea right now. As the gales of November hiss through bending trees and bring impossible amounts of snow to some northern latitudes, it might be a good time to ask: what are your favorite summer memories? Was it that sparkling beam reach on a warm evening? The chuckle and click of tidal water on a quiet day? The spectacular fish or load of crabs you caught and shared with friends? Was it the smell of loamy black earth on your hands as you gardened, or the sight of crimson tomatoes emerging from green leaves like an organic Christmas tree, or the astonishment at the gigantic rose that grew out of a leafless stick you almost pulled because you thought it was dead? 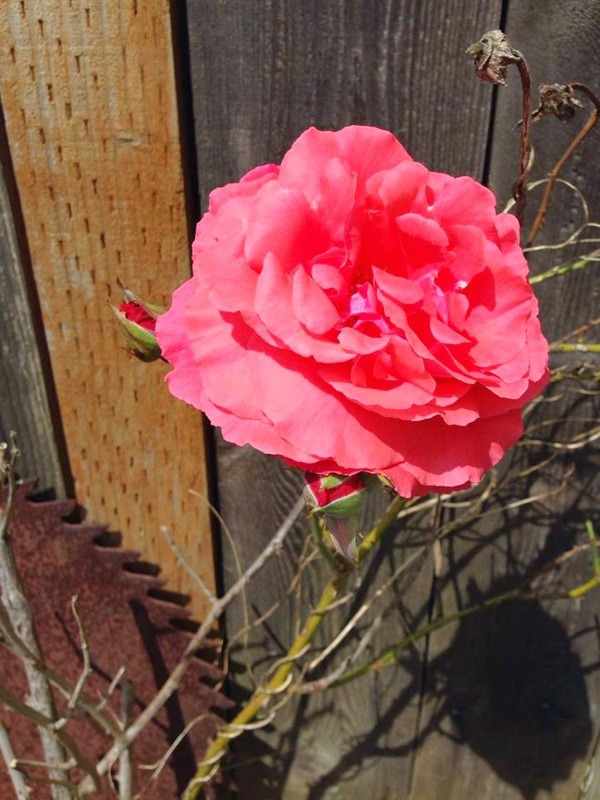 In the world of plants, this rose was a total optimist. Maybe it was the satisfaction of a safe passage through fog, and the pleasant low hum of quiet conversation drifting through the darkness among boats sharing a peaceful lagoon. For Jim and me, it was all of the above. One of those moments where you wonder, is it going to clear or get thicker? 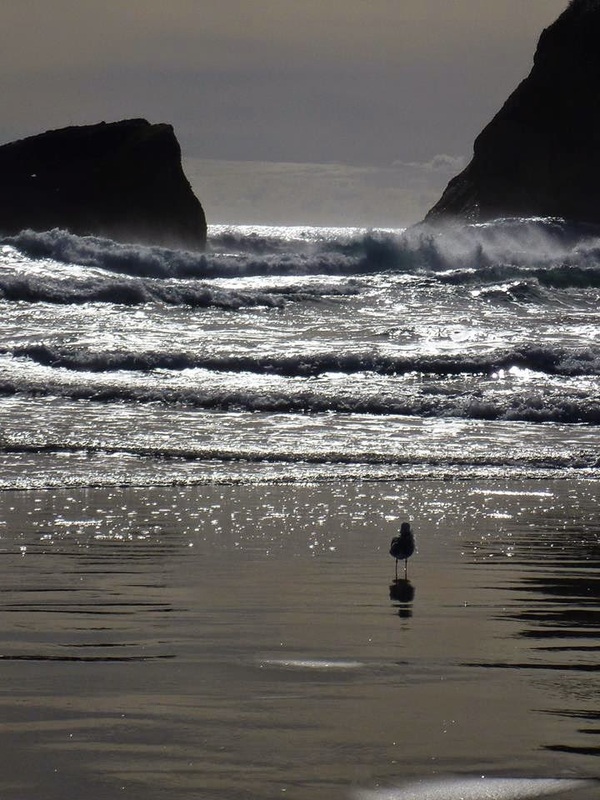 Right now as the umpteenth Pacific low of the season moans overhead, we think how grateful we are to not be at sea in such weather (hence the title of this post.) While the woes of the world sometimes seem irreparable and the rain keeps us more indoors than we'd like to be, right now feels like a good time to slow down and reflect on what it is that keeps us all going, and remember what it is we dream about when we’re not out doing the things we dream about. A fine memory of the Tasman Sea. Our last post was in August, so we will catch up from there. 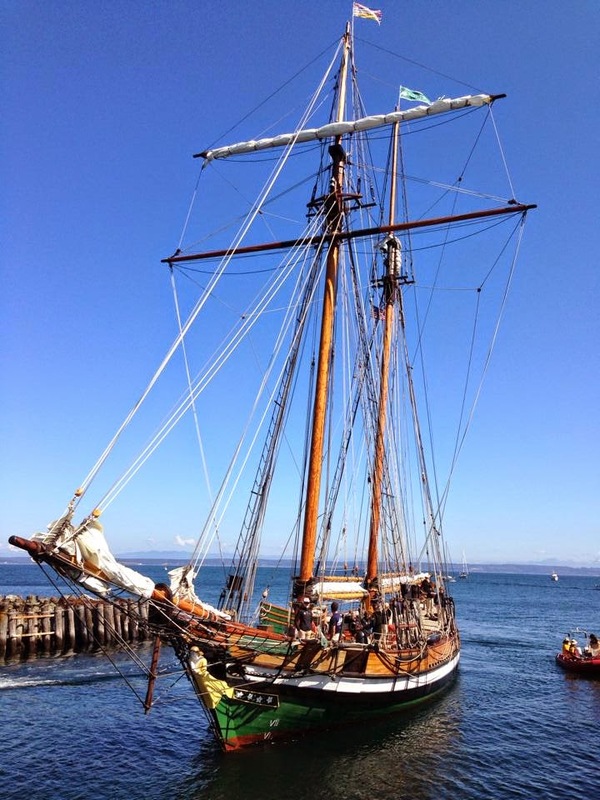 One of the highlights of the sailing year for us is always the Wooden Boat Festival, held each September in Port Townsend, Washington. Jim and I gave a Sunday morning talk called “Lessons learned from sailing a 24-foot boat to New Zealand,” and were astonished at the size of the crowd that showed up. Judging by the fun that was had, we’ll probably give another talk next year. Some mighty big boats squeezed into Point Hudson. This is the Pacific Swift from Victoria, Canada. Coinciding with all the wooden boat celebrations was the annual ukulele festival. There is something so marvelous about a fine night of watching a series of amazingly accomplished adults coax the most unlikely sounds out of toy-sized 4-stringed ukuleles that the audience can’t help itself from regressing to childhood. We had a nice reunion with our Boise-based ukulele-playing friends Christian and Susan Petrich, and I smiled through an evening concert with them as Jim volunteered to work at the Wooden Boat Festival, at the beer tent near the music stage, appropriately named “Bar Harbor.” At the end of the Festival there is a sail-by. 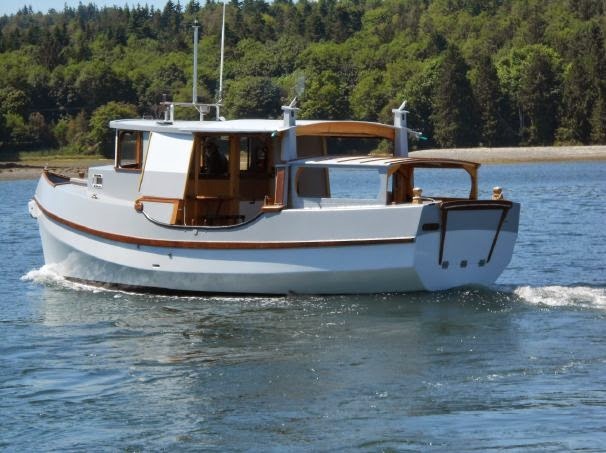 Picture a river of 200 or so wooden boats, from cute and tiny to huge and magnificent, all gussied up in shiny new coats of paint and varnish and utterly delighted with themselves, sailing in a large circle that goes out to Admiralty Inlet and back past town. Every year I say, “It can’t possibly get better than this,” but it does. And then as we glided past town, a comedian who’d obviously read our last blog post sailed up to us and yelled, “I know you! You’re famous!” We exchanged a few nyuk-nyuks and I was still laughing an hour later. This year, Lin and Larry Pardey were here, and they spent three weeks before the Festival visiting boatloads of friends. Here’s a photo of one of those sparkling beam reaches, with wine and picnic food aboard Sockdolager, and with our friend Christian Gruye along. That’s the 137-foot pilot schooner Adventuress in the background. And now, look how fast the sun has retreated south. 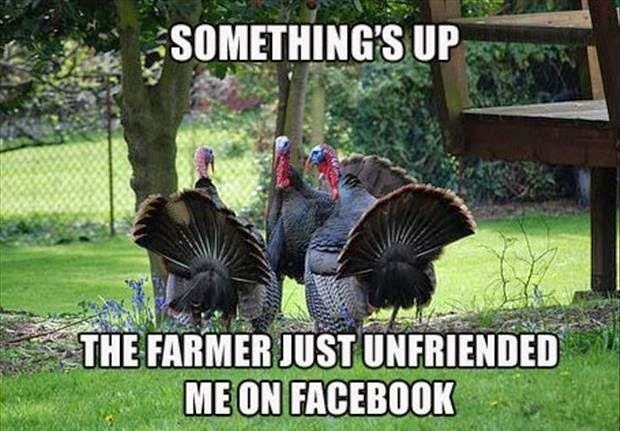 The holidays are almost here. With the hours of daylight decreasing to around 8 at this latitude (48 degrees north) and to 5 at where I used to live in Alaska, it’s good to remember that in tropical latitudes there’s a fairly steady 12 hours each of daylight and darkness, give or take a little depending on how far you are from the Equator. Here’s a nice little interactive graphic that will show you how much light there is at any latitude on any day of the year. Of course, those elongated summer sunsets we so enjoy don’t happen the further toward the Equator you go. There, the sun rises and sets fairly quickly, plunging rather than easing you into darkness or brightness. For some reason I can’t fathom, I was thinking this morning about how in northern latitudes the usual workday begins around nine and ends around five, which uses the best light of day, but in places like Tahiti, where it isn’t light of day but heat of day driving the cycle, you’d better get to the market well before nine or the best fruits, vegetables and fish will have been picked over. In Nuku Hiva in the Marquesas, the weekly market begins at four in the morning, and it’s all over by six. This, combined with our love of long winter naps no matter what the latitude, could be part of why we missed fresh vegetables so much during our stay there. It’s been way too long since the last blog post, but I had a bit of surgery in September and it took awhile to recover. Without going into details, it wasn’t about the heart, the heart is fine, I’m fine and nearly back to normal, and am glad it’s over. I know. Just imagine a heated wheelhouse." Okay, ANOTHER confession: we did more than ogle it. Raven was still for sale when we returned from the voyage last year. We dithered and blathered and hithered and thithered and then decided to buy her. I know. Two boats. Evidently we are going into an extended overlap period. 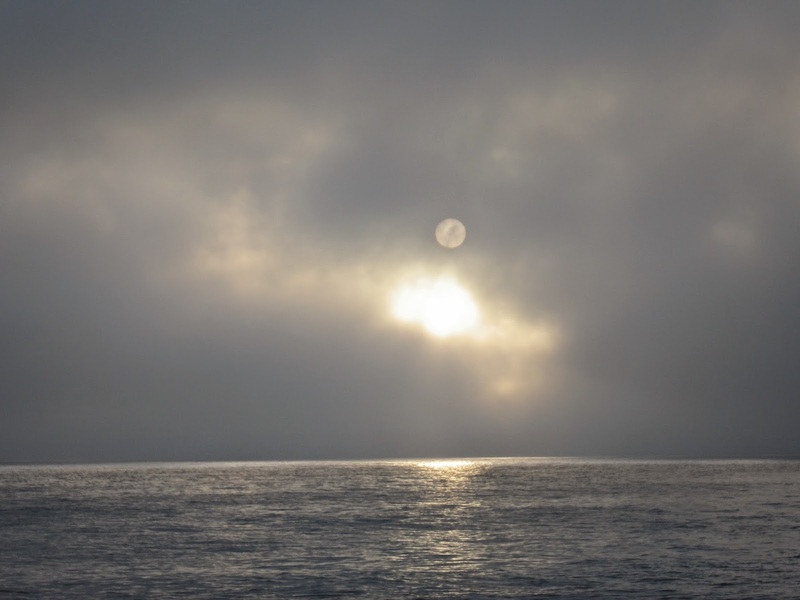 But I’ve done the Inside Passage round trip in a sailboat, which meant standing in the rain while mostly motoring, for a thousand miles each way. 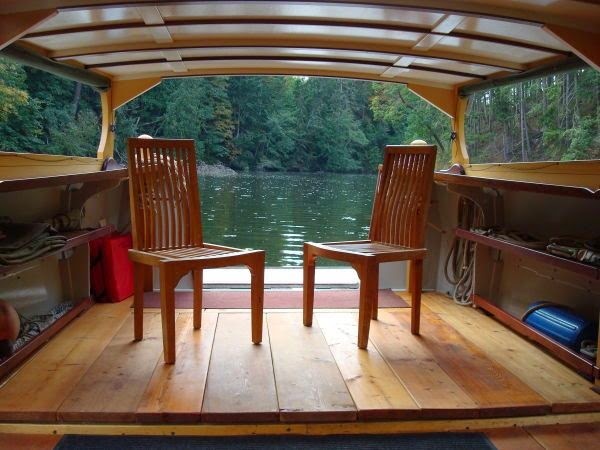 We are not selling our beloved Sockdolager… yet, but we couldn’t pass up the chance to own the perfect boat for the dotage years. 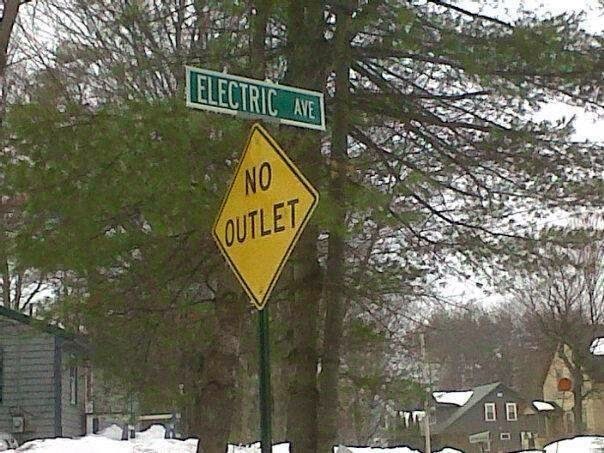 What the heck, right? 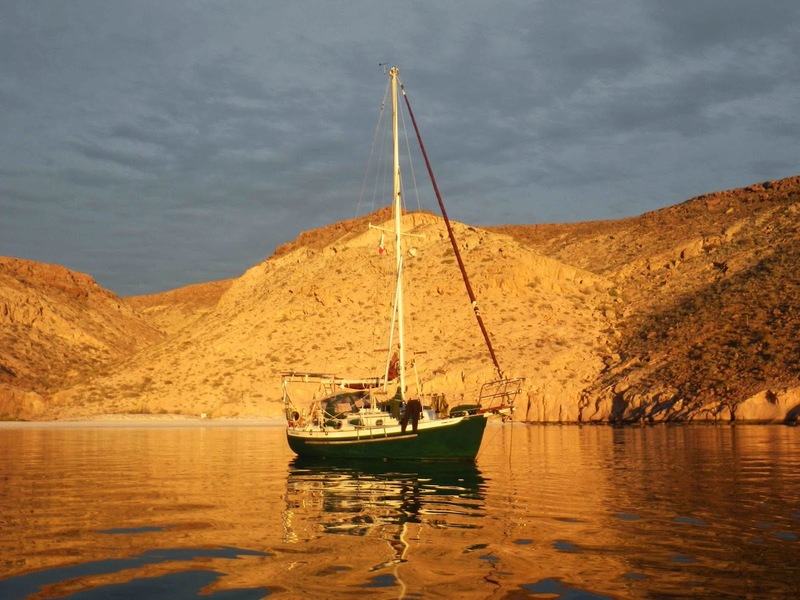 What are we saving for if not to spend it on boats? And don’t try to pretend YOU don’t understand this if you’ve been following this blog. None of us has an excess of self-control when it comes to boats. Lots of room for parties! If you happen to be a member of Off Center Harbor, you can have a video tour of Raven here. While we in the Northern Hemisphere hunker down for winter, it’s a good time to brush up on things like safety at sea, and the Cruising Club of America has a comprehensive web site on the subject. 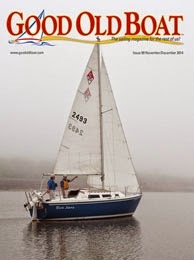 And Good Old Boat magazine has the third installment of a 6-part series I wrote on setting your boat up for solo sailing, in the November-December issue. 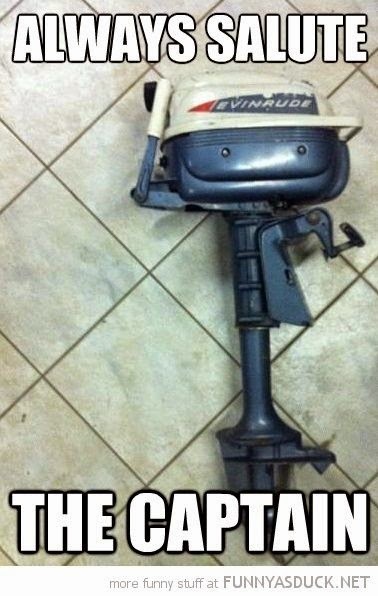 And as long as we’re at it, winter is a good time to take up new hobbies, and what better hobby could there be than one that’s portable enough to take along on your boat? I’m talking something that has given me years of pleasure and that never fails to immerse me in the local surroundings in ways little else can. I’m talking about bird watching. Imagine sailing along and looking up and seeing a swift mostly-white bird with a black cap on its head, and knowing (because you recognize what species it is) that this bird has just flown ten thousand miles from Patagonia? How cool is that! And how cool would it be to become proficient enough at identifying seabirds where you could participate in citizen bird counts, which are sent to scientific agencies? There is a movement to get more people on boats to become bird spotters who log sightings, and you can read more about it at Birding Aboard, a web site I happened to stumble across. It’s full of fascinating articles. 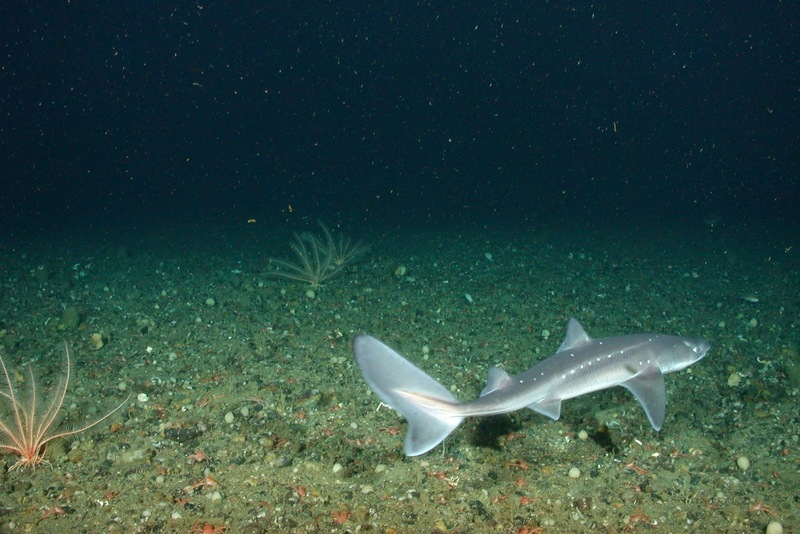 Something else to think about next time you’re out at sea: what’s down there in the deeps? It’s fun to look at a chart and think, good grief, the water’s almost a mile deep here, or, it’s shallow for miles and miles, I wonder what lives in here, and then try to imagine what it looks like. Well, at least that’s fun for me. 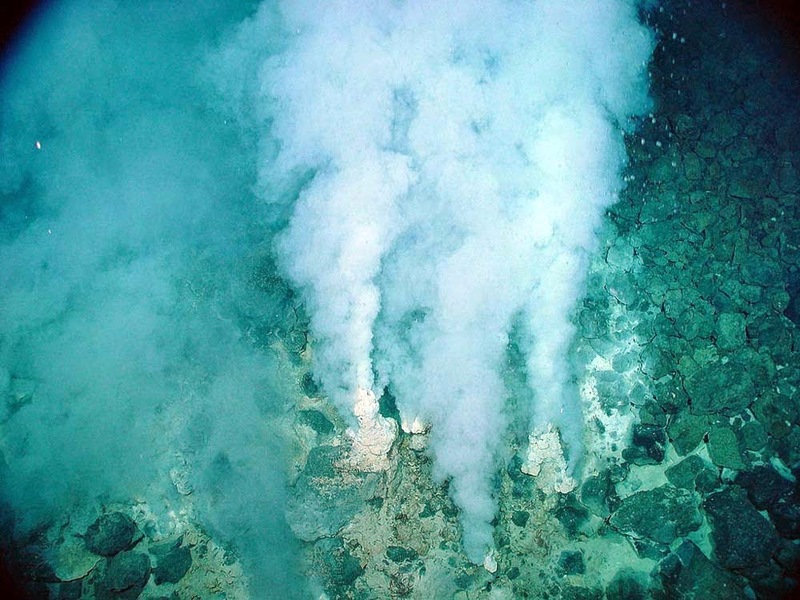 Google “photos of the deep sea floor” to get an idea of what it looks like. While sailing over Monterey Canyon in California’s Monterey Bay, we wondered what critters were swimming or crawling or growing beneath us, some of which have never been seen before, as we glided across an underwater Grand Canyon. But there’s a lot of manmade stuff down there, too, and glimmers of the effects of such debris are emerging. 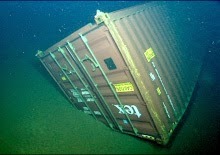 In Monterey Bay, scientists are observing the impacts on the sea floor and subsequent colonization of life on some shipping containers that fell overboard ten years ago. There are tens of thousands of them at the bottom of various oceans, and it’s worth knowing about. Here’s a link to the Monterey Bay National Marine Sanctuary’s article on this. Most of our friends who were in Tonga and Fiji have arrived in New Zealand, though a few remain in Fiji, which is in the midst of its cyclone season. 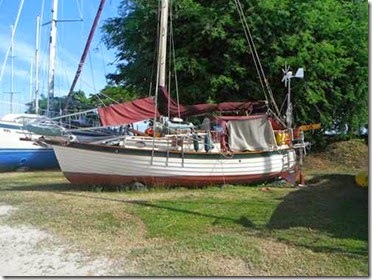 An interesting take on storing your boat ashore in a cyclone-prone place like that is to dig a deep hole for the keel, and lower the boat into it so that it can’t fall over in high winds.